The Office Products Industry Outlook & Potential Triggers for Change. Popular talk surrounding the print consumables market in North America has been about Clover Technologies Group as the dominant Aftermarket force, the appearance of “new-build” compatibles from Chinese manufacturers, and the ongoing legal battles waged by the OEMs against the aftermarket players. These three events, along with a myriad of others including the now-evident decline in the market size for consumables, combine to create a set of challenging conditions for resellers of office products in the North American market as well as the overall office products industry outlook. An uneasy balance has developed between the OEMs and the major aftermarket players in the primary distribution channels. The OEMs have dominant market share but the resellers make virtually no profits selling their products. Some aftermarket products (mostly Clover Group) are “tolerated” by the OEMs and form a minority market share. The “big-box” resellers make high margins on the sale of aftermarket products which effectively subsidize low margins on the OEM products. If a “big-box” reseller is tempted to push too much aftermarket product in an effort to increase overall margin dollars, it must reduce sales on original OEM brands which then compromises the important volume related rebate dollars paid out by the OEM. This current balance is maintained because of the small number of companies that survive in the "big-box" channels and the market power they have. Outside of the “big-box” channels the forces for change are waging their war online - primarily within the Amazon marketplace. For the long-term prospects of the independent dealers this is not a healthy environment and is doing the aftermarket image, in terms of intellectual property and quality, few favors. The massive price disparities between products sold through the “big-box” channels and those sold in the online marketplace is compelling evidence of the distorting market power that the remaining entities in the "big-box" channels currently have. For businesses and consumers that shop through these conventional channels, brand choice is restricted and prices are high. For those that venture into the online marketplace, brand choice is virtually unlimited and prices are low – so low that for many consumers the risk of poor quality is mitigated. Because of the current distribution arrangements and how they combine to restrict access to lower priced alternatives, it will take a major force to trigger any change that results in increased access to alternative, lower priced products. The current activity in the online marketplace is unlikely to be the trigger for disruptive change. Although portals such as the Amazon and eBay are effective consolidators of web traffic, no one, apart from perhaps the freight companies, is making money. Although the dealerships selling product through these portals could be future beneficiaries of change, their current activities are unlikely to be the trigger for disruptive change. At this time, the balance of power in the complex set of relationships lie with the OEMs as demonstrated by where the largest share of the margin dollars flow. However, as the OEMs continue to extend their reach establishing closer and closer ties with the ultimate consumers of their products, the resellers must be looking nervously over their shoulders with regards to how this may impact their future role. The news regarding the acquisition of Static Control Components by China-based Apex Technology suggests there may be a new force emerging with sufficient clout to cause change. However, despite this development, disruptive change is still unlikely to take place within the current "big-box" distribution channels. Simply displacing incumbent suppliers with a new offshore manufacturer would not fundamentally alter the existing arrangement because it would serve only to put more margin dollars into the "big-box" pockets and fail to reduce prices for consumers or alter existing market shares. It will take a greater force than the emergence of a new global player in the print consumables market to become the trigger for disruptive change. Although without the Ninestar Group change is less likely, even with it, although the "hammer may now be cocked on a loaded weapon" the trigger is still missing. It's possible a trigger could develop with the empowerment of alternative distribution channels capable of moving aftermarket products into American businesses independently of the the existing "big-box" channels. A structure for this alternative distribution already exists by way of the thousands of independent resellers in the North American marketplace. However, despite this structure, the lack of organization to act toward a common goal does not exist and, until it does, it's unlikely the channel will become the trigger for disruptive change. At this time, the independent resellers form a significant part of a challenged sales channel that’s poorly equipped to overcome the power of the OEM branding message and the value proposition offered by the "big-box" resellers. Their sales are stagnant or declining and their independent e-commerce initiatives have mostly failed. As a result, many are swarming to online marketplaces such as Amazon, and possibly damaging their long-term prospects in the process. The million-dollar question is whether it’s possible for this channel to be organized to become an effective outlet for high quality, patent-safe products that save consumers billions of dollars. While the potential rewards for organizing the channel toward a common goal are significant, it is not an easy task, particularly in terms of who could step up and provide a conflict-free leadership role to do so. For the independent North American dealerships it’s a very “American” thing in terms of culture. So, even with the emergence of a well-capitalized offshore powerhouse, if it fails to understand and respect this culture, its potential to become the trigger for change is compromised because of its incompatibility. 1. 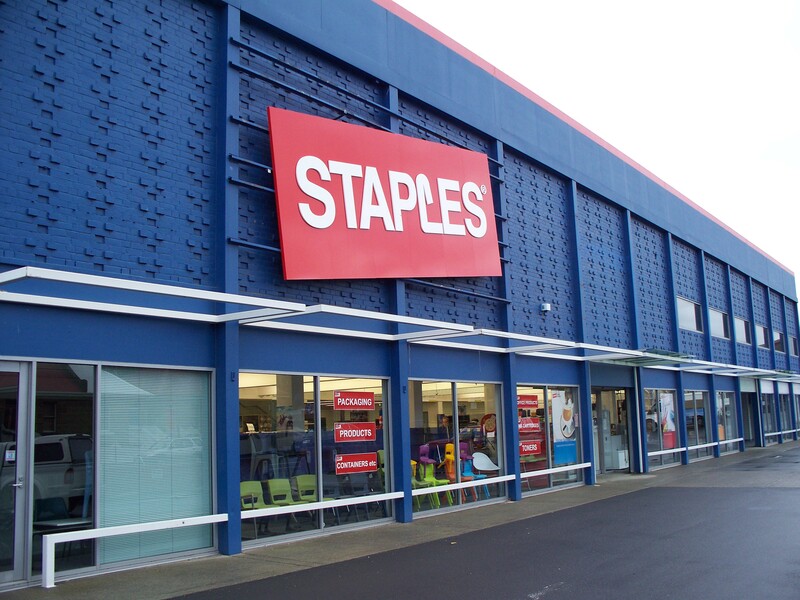 Despite the continued threat of the OEMs bypassing traditional resellers, including "big-box" outlets such as Office Depot and Staples, it's unlikely they currently perceive this to be a sufficiently serious threat for them to initiate disruptive change such as increased presence for, and marketing of, aftermarket compatible cartridges. However, should this threat continue to increase, it's possible the current situation could quickly change. 2. Despite the potential for disruptive change to take place as a result of organizing a fragmented independent dealership channel, it's difficult to see how this may take place. It will take a bold, sustained, and innovative effort to gain traction with this process. It's likely these are two of the main factors that the currently dominant players in the print consumables industry are counting on to preserve existing arrangements for the distorted distribution of revenue and profit dollars. For a comprehensive read on the office supplies industry and the opportunity for independent dealers to execute business transformations to get on a path for increased revenue and profits, please click the link below to access our free e-Book.